Features an unprecedented combination: the performance and design of a high-end POS scanner and an affordable price. The QS6000 Plus handheld scanner offers great performance at a very affordable price. With a high first pass read rate and the best speed-to-read of any scanner in its class, the QS6000 Plus speeds retail checkout. and its 13" (33 cm) depth of field with 100% UPC labels extends the users working range. 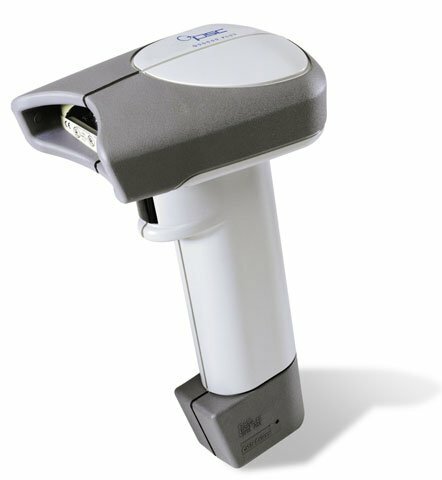 With a high visibility option, utilizing a 650nm laser diode, the user can target and read barcodes even in bright light conditions due to the scanners inherent tolerance of high ambient light conditions. Plus, Datalogic's advanced electronics perform well even when reading low contrast labels with poor edge definition. Each unit ships with one user's guide. Cable Assembly - 8 ft, undecoded, 9-Pin, D-Sub, Coiled. The Datalogic QS6-A110 is also known as Data Logic	PSC-QS6A110	or QS6A110	.